Home / iOS / How to Fix Wi-Fi Problem on iPhone Ater Update to iOS 11? Some users complain that after the update of iOS 11 on the iPhone and iPad, they started facing device’s various issues with Wi-Fi not working: it turns on suddenly, does not turn off when need, does not connect, and other similar problems. In this article, we’ll take a look at the typical problems with Wi-Fi connection in iOS 11 and show you how to solve them. The problem of periodic loss of a Wi-Fi connection on the iOS device is not very common. Sometimes a similar disconnect problem occurs when the user frequently moves between places with familiar Wi-Fi networks. For example, if the office has its own network and a network of colleagues or at home and its neighbors’ routers. Sometimes user can face with weak WiFi signal (we already covered how to boost it here). A smartphone can lose its connection for a moment with the main router and then quickly connect to the next one. And in view of the fact that it is further away, the signal may be worse and the Wi-Fi Assist function will turn on. 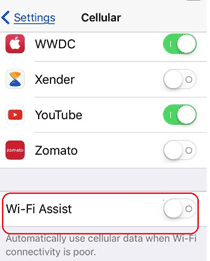 Wi-Fi Assist works as follows: when the iOS unexpectedly loses the Wi-Fi network, data is sent over the mobile connection. The system has a certain algorithm, which can include switching to a mobile connection if a bad Wi-Fi signal detected. A bit slowed down, a ping grew or in the distant rooms a bad signal detected, and the iPhone is already starting to download data via LTE. The Wi-Fi Assist switch is located in the Settings -> Cellular menu. This option has ruined more than one iPhone user with expensive mobile Internet. You should disable this option to save mobile traffic and extend the battery life of the gadget. 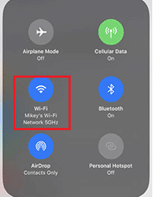 To automatically not connect to remote Wi-Fi networks, you need to find them in your iOS settings and disable the Auto-connect switch. 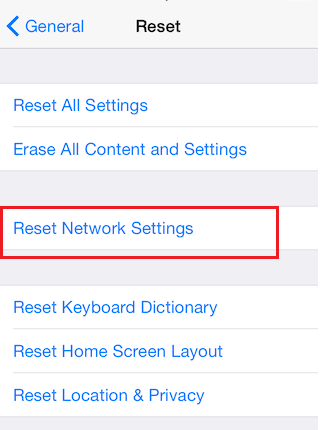 In the iPhone/iPad with iOS 11 there are often more common problems with wireless connections: the devices don’t “see” the Wi-Fi network, the “Failed to connect to the network” error appears, the endless connection, the password request does not appear etc. After that, iPhone will erase data about all known Wi-Fi networks (wipe passwords), which were connected earlier, it will also delete the Internet settings of the mobile operator and the saved parameters of APN. In iOS 11, there is another interesting bug that users encounter: Wi-Fi does not turn off after being turned off at the Control Center. Why does it turn on itself and how to completely disable the Wi-Fi network on the iPhone, or iPad? In fact, this is not an iOS problem or bug, but the implementation of the feature. Many people write that in iOS 11 the operating system enable Wi-Fi by itself. Most likely it is not like that. Simply turn it off at the Control Center, and go to the Settings: you can see that it’s still turned on. To completely disable Wi-Fi on iPhone 11, you need to navigate to Settings and change the Wi-Fi switch to the off position.